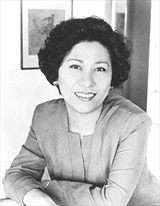 Theodora Lau is the author of the bestselling Handbook of Chinese Horoscopes (HarperCollins), Chinese Horoscopes Guide to Relationships (Random House) and Best-Loved Chinese Proverbs (HarperCollins). Theodora's books have been translated into over a dozen languages and have introduced many topics of Chinese culture to readers all over the world. Her daughter, Laura Lau, continues the family tradition of writing about Chinese Horoscopes and culture. Theodora has two new books - the 7th edition of the Handbook of Chinese Horoscopes and Wedding Feng Shui. Check out links to their respective sites below for more details!